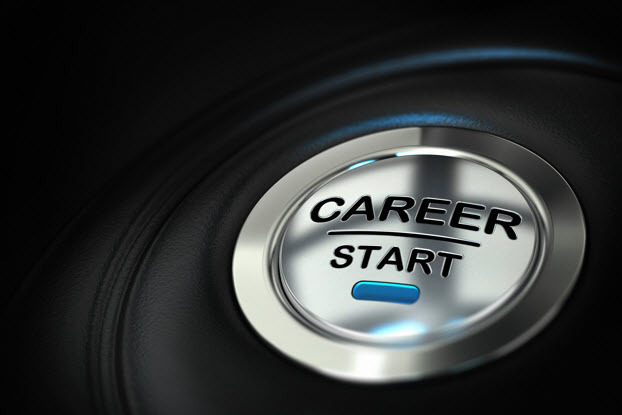 One of the best ways to capitalize on cloud computing’s growth from a career standpoint is to constantly be learning and gaining new knowledge. Being able to apply the technological aspects of cloud computing to business problems quickly, combined with constantly developing expertise on how to manage legacy systems and cloud platforms is a very valuable, marketable skill. Many manufacturers I meet with are grappling with the high maintenance costs and time latency of legacy systems when their business models are accelerating faster than ever. Helping these enterprises bridge the gap between legacy systems and the urgent need for more accurate customer, supplier, pricing, and quality data creates many opportunities for career growth. The number and quality of free online cloud computing courses continues to grow, and lately the prices of fee-based online programs are dropping. Not across the board, but clearly the competition of online education programs is changing in favor of the student. The table below profiles free online cloud computing certificate and degree programs. 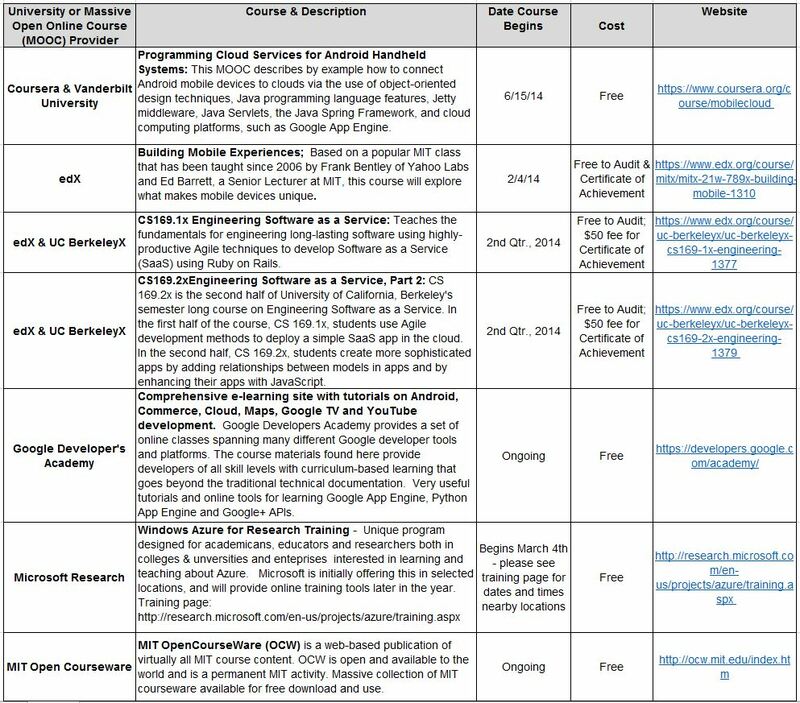 You can download a PDF of the full roundup of cloud computing courses here that also includes fee-based online programs. Please click on the graphic to expand it for easier reading. Coursera and Vanderbilt University are offering Programming Cloud Services for Android Handheld Systems. This class signifies a broader trend by Massive Open Online Courses (MOOC) where cloud computing and mobility are often being included in the same course. This course includes instruction on how to apply patterns and frameworks to develop scalable and secure cloud services. Included is coverage of mobile and cloud communication, data persistence, concurrency and synchronization, synchronous and asynchronous event handling, and security. The bulk of the examples are in Java using the Spring Framework and Jetty middleware platform. The examples will be run on Google App Engine and Amazon EC2. This course is free. Google Developer Academy – Self-based e-learning site that has an excellent overview of Google AppEngine, Python App Engine and Google+ APIs. Microsoft Research Windows Azure for Research Training – An innovative training program aimed at academicians and researchers, this is going to be an excellent learning platform regarding the Microsoft Windows Azure Platform. Best of all, the course sessions and eventual online content are free. MIT OpenCourseWare (OCW) – One of the most comprehensive collections of courseware available globally today, OCW is a web-based publication of virtually all MIT course content. OCW is open and available to the world and is a permanent MIT activity.